A rapid, in-process assessment of virus replication is disired to quickly investigate the effects of process parameters on virus infection, and to monitor consistency of process in routine manufacturing of viral vaccines. Live virus potency assays are generally based on plaque formation, cytopathic effect, or antigen production (TCID50) and can take days to weeks to complete. Interestingly, when infected with viruses, cultured cells undergo changes in cellular metabolism that can be easily measured. These phenomena appear to be common as they has been observed in a variety of virus-host systems, e.g., in insect cells infected with baculovirus, Vero cells infected with Rotavirus, MRC-5 cells infected with Hepatitis A virus, and MRC-5 cells infected with the Varicella Zoster Virus (VZV). 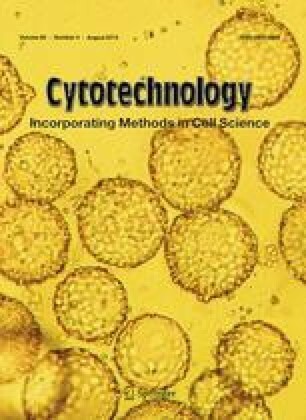 In this article, changes in glycolytic metabolism of MRC-5 cells as a result of CVZ infection are described. Both glucose consumption and lactate production in VZV infected MRC-5 cells are significantly elevated in comparison to uninfected cells. Based on this result, a rapid, in-process assay to follow VZV infection has been developed. The relative increase in lactate production in infected cells (α) increases as the infection progresses and then plateaus as the infection peaks. This plateau correlates with time of peak virus titer and could be used as a harvest triggering parameter in a virus production process.